Brown trout is spinning lures for Hucho, Huchen, Danube taimen (Hucho Hucho), Pike, Zander, Catfish, Taimen,. 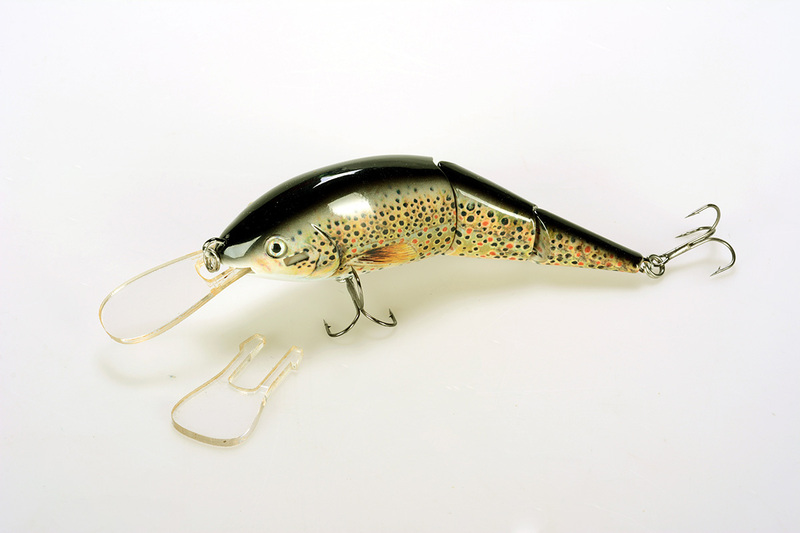 Wobbler with a changeable lip or bib. The longer and bigger the lip the deeper the lure will sink. Flating jointed at 14 cm (5,5 inch), 50g (1,7 oz).